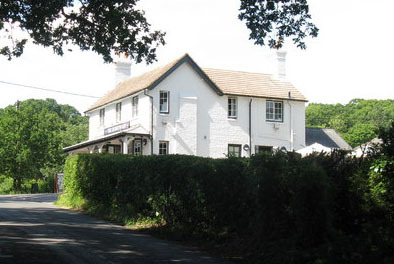 Ashdown Forest is within easy reach of the cottages. 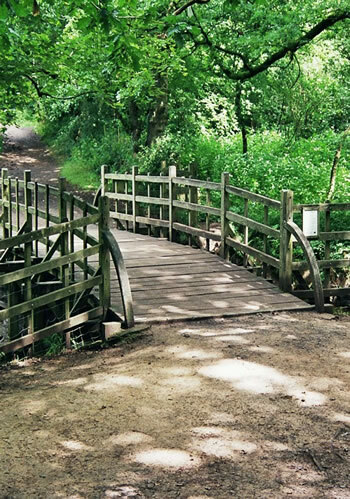 With its famous connections to the heartwarming Winnie the Pooh stories by A.A Milne, why not follow the trail and play pooh-sticks on the actual “Pooh Bridge” described in the books?! The Vanguard Way and the Weladway pass closely by the entrance to the farm covering over 6,000 acres of the High Weald an area of natural outstanding beauty. The Vanguard Way offers a 66 mile route from Newhaven through to Croydon for walkers. Hurstwood Farm is situated roughly halfway along the route. If you come to stay at Hurstwood make sure you bring a copy of the Ordnance Survey Explorer Map No. 135 which contains excellent detail of all the footpaths in the area. For a change of scenery just a few minutes drive away is the town of Uckfield. Its vibrant High Street offers a range of services including a picture house that dates back to the 1920’s. Visit the farmers market on the first Saturday of each month and pick up some delicious local produce. A short drive away are a variety of visitor attractions, including Scotney Castle, Bodium Castle, Lewes and Hever Castle and Penshurts Place. Bedgebury Forest and National Park is only 11 miles away which is another stunning area for walks and cycling. Royal Tunbridge Wells is also well worth a visit with great shopping facilities. It was established as a Spa Town in Georgian Times.